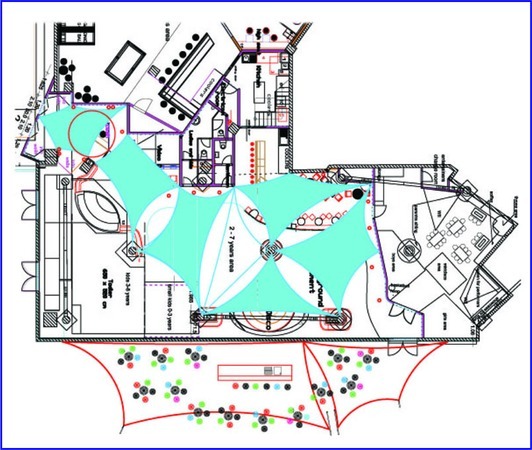 Children indoor theme park - planning and design in the fantastic shopping center Palas Mall in Iasi in Romania. There are children's play areas for 3-7 and 7 -15 years of age with many attractions. Here you can see the floor plan and the reflected ceiling - textile (blue) for ceiling suspension light projections as decorative elements. We bring life to a space with light effects.